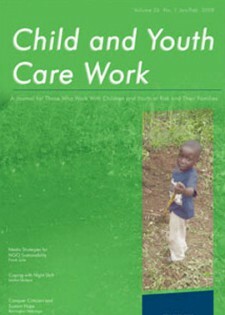 Child and Youth Care Work is a non-commercial and private subscription journal. It is published bi-monthly in February, April, June, August, October and December. The journal is produced by National Association of Child Care Workers; a registered non-profit organization which has been working independently to promote optimal standards of care for orphaned, vulnerable and at-risk children and youth for over 30 years. All NACCW activities focus on improving the quality of services to children and youth – through developing the abilities of those who work directly with them.